The Neopian Times Week 22 > Articles > Do I Have My Priorities Straight? When I ask (or type, in this case) whether I have my priorities straight, I don't mean Neopoints versus NeoPets themselves. No, actually, I mean Neopia versus Earth. Are you as confused as I am? Answer the questions below, and see if you have your priorities straight... all questions are yes or no, true or false... oh, you know the drill. 1. When the "real world" is mentioned in your group at school, you automatically think: "Neopia" or "neopets.com". 2. When walking to the... the grocery store, you pass by a house with a white poodle in the front yard. It starts barking, and you say to it "It's OK, Poogle..." Then you think to yourself, "Wait a minute, I didn't know they had white Poogles yet!" 3. In the pharmacy, you ask for Magic Goop to cure your Achy Head. 4. You walk dejectedly into the doctor's office and demand a NeoBlues Injection. When asked why, you tell him/her you are suffering from a bad case of NeoBlues, because your pets were zapped by lightning. 5. When it's raining, you dump your pet cat/dog/bird/whatever into puddles of water, hoping that this time, they'll change colour. 6. You go to the ATM to withdraw some cash. To your delight, huge bags of Neopoints fall from the sky. 7. When people ask what nationality you are, you reply, "I'm a Neopian... I've got four adorable pets... a Kacheek, a Shoyru, a Meerca, and a Chia. We live in Neopia Central. You should visit us sometime soon. Whereabouts do you live?" 8. Each time you go outside, you wonder where all the Chias and Shoyrus have gone. They are replaced with weird Gelert-like things and Aisha mutants with only two ears... AND they don't talk or eat asparagus! 9. You panic when the walls of your house aren't Cloud anymore... and what happened to the Satellite Security?? 10. Every time you hear someone swear, you decide to report them to the NeoPets Staff... until you find out that Earth doesn't have its own browser yet. 11. When going for a family outing to the beach, you immediately run off somewhere. Twenty hours later, when your family is panicking, you appear out of nowhere. When asked where you disappeared to, you told them you were looking for the Island Mystic. 13. Your parents are positive you're hallucinating when you see a sign "Negg Farm" on the way to the countryside. You argue with them, saying you never hallucinate, it WAS there! Sadly, on the way back... it disappeared. 14. In the mall, you walk up to the information center and ask where the Shop Wizard is. When the confused person tells you that there is no Shop Wizard, you get upset and demand where you can get a Faerie PetPet Paint Brush. So, how did you go? One point for each "yes" answer, but none for "no". 4 - 7: You're not so confused. 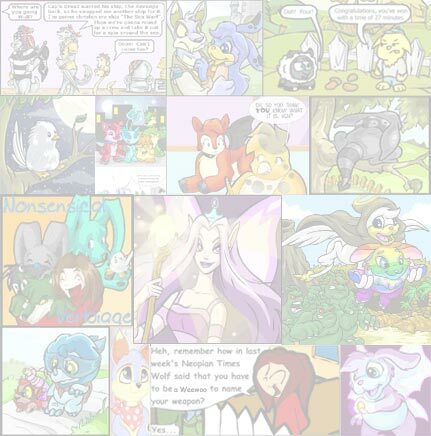 You still think NeoPets is a Web site, but you consider yourself a NEOPIAN! 8 - 12: We're nearly there. There's a very faint line between Earth and Neopia for you... but Neopia is quickly taking over! Keep playing... in only a few hours, you should realise!! 13 - 15: Ahh, you know your facts! Yep... Earth, fast food, and school is just a dream... you'll wake up soon, and get back to the real world and spin the Wheel of Excitement, maybe... congratulations! You have sorted out your priorities! Disclaimer: This test is just for fun. It's not true, and if you got 13 to 15 "yes" answers, you're in trouble. 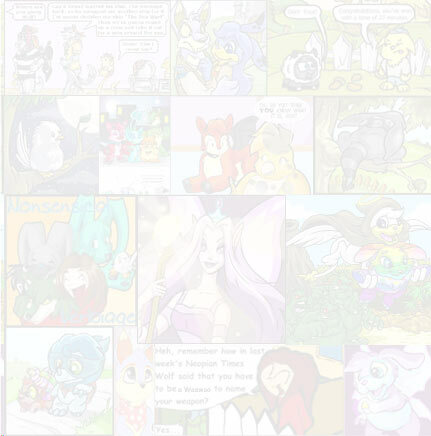 Better try again, and stay away from NeoPets. Disclaimer of the Disclaimer: No, this test isn't for fun. It's the truth. And if you got 0 to 3 "yes" answers, you're in trouble. Keep on playing NeoPets, or else you'll be stuck on Earth... *gasp* FOREVER!! Disclaimer of the Disclaimer of the Disclaimer: This test is partly for fun. If you got 8 to 12, you're fine. Stay there, unless you want to be like me, and forget that there is no "back button" on Earth. If you got 0 to 7, keep on playing. It's better. Trust me. And if you've got 13 to 15, you rule. End of story. No more said. No disagreements!